Welcome to S+L’s Weekly News Round-Up. As part of my job in bringing you, the latest Catholic news on Perspectives Daily, I come across many interesting stories on a daily basis. Some of them I'll cover on my show and the others I’d like to share with you on this blog. This weekly column is where I’ll point out some of the more interesting news pieces, stories, or videos that I've come across over the past few days! Enjoy! First up, is this really neat must-have app that puts the entire Roman Catholic Calendar on your iPhone. 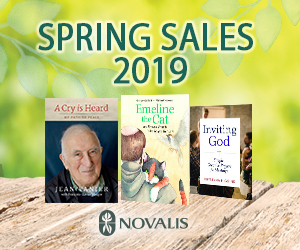 You can install it from Apple's App Store and run it as a stand alone application, or your can integrate it directly into your calendar so that all the feast days, liturgical celebrations, and readings all come up in one place. No more fumbling for the Liturgical Desk Calendar. EpicPew has all the details and instructions in their article here. It's definitely worth the download. "If you see me, weep." That is the message that appears on the sinister "Hunger Stones" that have been surfacing in Europe. Is this the sign of a biblical apocalyptic prophecy from the Book of Revelation? Hardly. 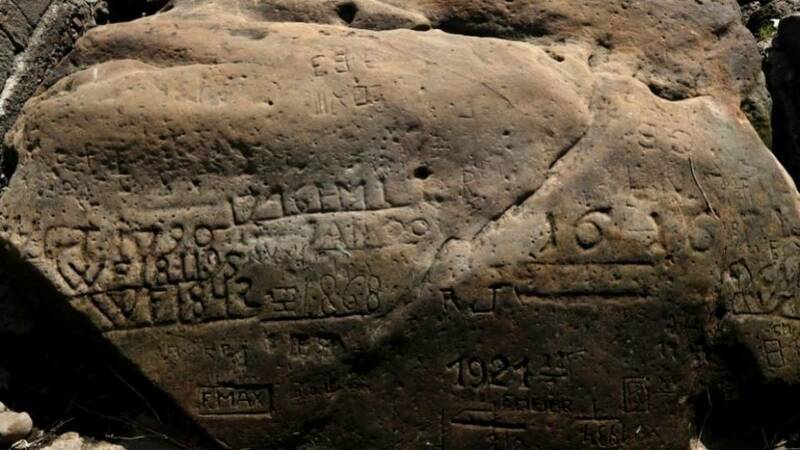 Although, it is interesting that the European droughts of the past summer have revealed 15th-century messages on river rocks, messages that first surfaced in 1417 and then in 1616, 1707, 1746, etc... etc.. up to 1893. Our friends at Aleteia have posted the story here. Or you can just watch the video below that explains the phenomenon. As you probably know, the pope was in Ireland last weekend to partake in the 9th annual World Meeting of Families. We covered the events extensively on our network during the week. There were many very touching moments during the Festival of Families. There is one in particular that I'd like to share with you. Rome Reports brings us the story of Ireland's first homeless choir, called High Hopes Choir. They sang to more than 75,000 people, including Pope Francis, at Croke Stadium in Dublin. Lastly tonight, coming to select theatres beginning September 7th is a new movie that I'm very excited to see. It's called The Apparition. It's based on an alleged apparition of the Virgin Mary to a 16-year-old girl and follows an investigative journalist sent by the Vatican to a small French town to conduct the investigation. It's full of plot twists and turns and, surprisingly, there isn't a single evil priest to be found! You can read about the movie here. Also, be sure to catch all the latest Catholic news and stories from around the world on Perspectives Daily. The show airs on our network Monday to Friday at 7pm ET or you can catch the latest episodes online here.